Way back in November I had a day playing with lots of stuff. The set of strips I made are in this mess. Cut diagonal strips 3 1/2' x 10" and paired them with the strong jade bricks the same size. 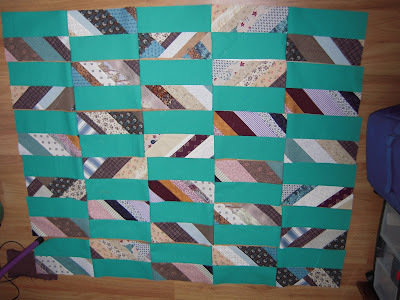 My version of Victoria's quilt Making me Crazy. 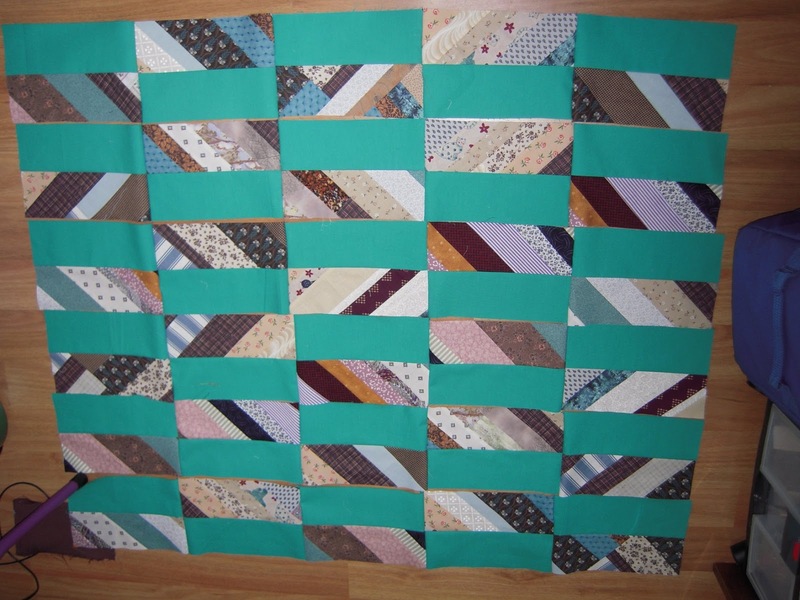 All the strips are from a friends' scraps and it has been fun playing with a different colour palette. Thank you*!*! Victoria for stretching my vision. Off to make some more made fabric to finish this top. I like the jade with the browns and greys in the made fabric. What a great way to set little strings! Jade is perfect. What a great design! I can imagine it with so many fabrics and colors. 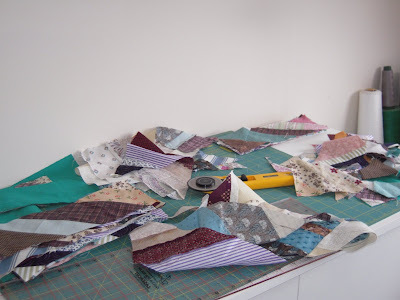 And it's relatively easy to sew - making sewing a fun adventure!! Thanks! luv the colors and the contrast!